Seven lawyers of the Mulcahy & Wherry, SC combined their talent and experience to form the Weld Riley Prenn and Ricci law firm on January 1, 1991. Starting by just focusing on employment and labor related legal issues, the firm expanded over the years and now practices in diverse law areas such as corporate, environment, banking, criminal, and civil litigation, to name a few. The Weld Riley Prenn and Ricci firm is easily one of the largest law firms in the Northwestern part of Wisconsin and plays an integral role in the legal matters of the community. The firm has an experienced legal team of 30 dynamic attorneys assisted by a skilled and efficient administrative staff. Hence, each and every client is provided with prompt, honest, and meticulous services. Moreover, all the attorneys in the prestigious Weld Riley Prenn and Ricci firm bring to the organization their unique talents and breadth of knowledge of both the federal and state jury trial experience so they are able to dexterously handle the most difficult of cases. The firm is always on the look out for the best lawyers and keeps on enhancing its legal expertise. A key feature of Weld Riley Prenn and Ricci is its commitment to build a long-term relationship with its clients. Hence, most of its clients keep on coming back to the firm for advice in all legal matters. With charismatic partners like Kathryn J. Prenn and Wisconsin Super Lawyers like Tom Graham and Steve Weld in the eminent firm, it is no surprise that it is constantly recognized for its outstanding performance in the legal sector. All of the attorneys are an integral part of the community where they work and live and are devoted to give back to it by teaching, coaching, etc. Q:Please brief me about Weld Riley Prenn & Ricci law firm? A:Weld Riley Prenn & Ricci Law firm was established in 1991 by a group of experienced attorneys in Wisconsin. It started off by specializing in employment law but gradually expanded its services to many different areas. The firm focused on innovation and adaptations the changing legal environment. The firm provides legal services such as guidance and claim management to many individuals and businesses. Weld Riley Prenn & Ricci has evolved itself tremendously and caters to legal needs not only in America, but in many countries worldwide. Q:What kinds of personal injury cases does Weld Riley Prenn And Ricci law firm handle? A:Personal injury law is also a major practice area at Weld Riley Prenn and Ricci law firm. The firm has a specialized group of attorneys that solely cater to such claims. In this area they handles all sorts of cases related injury due to defected products, accidents and vehicle collisions, medical malpractice, product liability, product misrepresentation, and assault. The firm believes is providing justice to victims suffering from physical and emotional trauma caused by others.  Q:Can you name a few of the practice areas Ricci Law Firm specializes in? A:Ricci Law Firm is a Wisconsin based firm, it has acquired a reputed status amongst competitors for its diverse legal services. A few of the main practice areas of Ricci Law Firm have been mentioned here: probate and estate planning, real estate, workers compensation defense, healthcare law, labor and employment law, banking and finance, civil litigation, criminal defense, mining and minerals, government relations, adoption services, and business law.